The Great British Bake Off, who has been watching it? 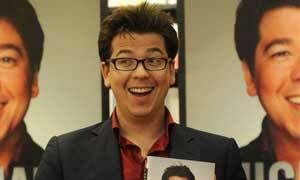 What do we think about the move to Channel 4? 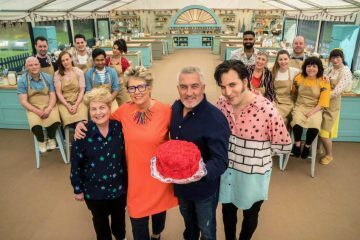 For my overseas readers, The Great British Bake Off is a baking show (could have guessed from the name), 12 contestants from around the UK compete to show the judges their best baking skills. It is a good show to watch, especially if you love baking. A word of warning, the show will most definitely make you want to eat, especially cakes.I must admit, I was not a die-hard fan of the show from day one when it started in 2010. I only got into it when I was pregnant with my daughter in 2014, probably because I was eating for two and I had sweet cravings. So, for 2017, the show has been moved from BBC one to Channel 4. It caused some upset and the lineup also changed, 2 new presenters and one new judge to join Paul Hollywood. Now, the new judge Prue Leith. Prue is the lady I want to talk about because have you seen her style? Bright colours, bold, chunky necklaces and not to mention some rather statement-making glasses! I have been obsessed with finding out what brand(s) of glasses she wears and I think after some investigation, I have the answer. Thanks to my husband who helped (probably because he was getting annoyed with me pausing the TV every 2 seconds). I was more into checking her glasses out than the show itself. ha! 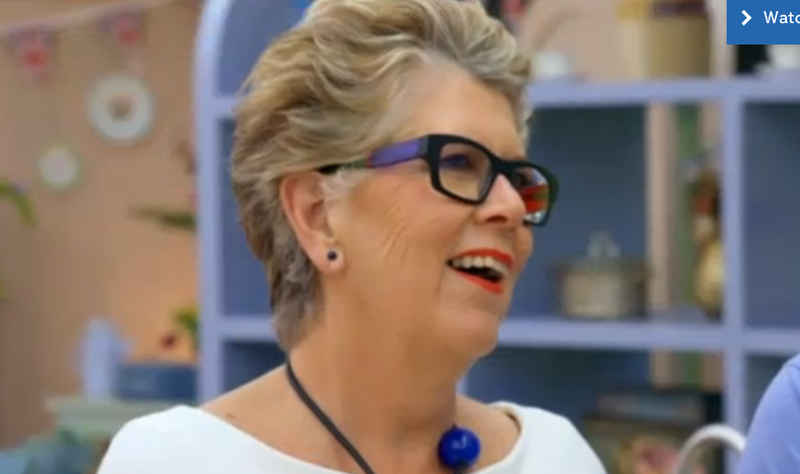 So, what are Prue Leith’s Glasses? So, what glasses does she wear? Well, I am like 98% sure she is wearing a brand called Ronit Furst. 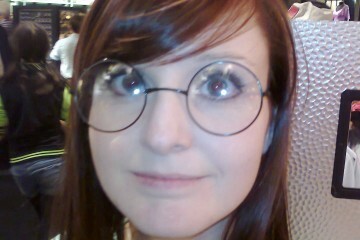 I have studied her glasses very closely, more than the baking. 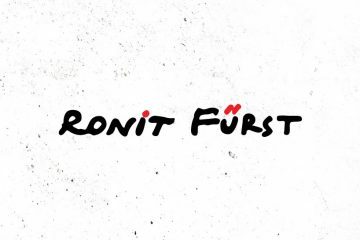 Ronit Furst has some distinctive designs, their logo is only on one side, bold and bright colours. They are quite recognisable and very unique. I am not saying there are no other brands doing something similar, but after lots of pausing the TV to study the frames, my gut feeling is, they are Ronit Furst. I have been trying really hard to find the frames she been wearing from the Ronit Furst website, but no joy. However, this could be down to the fact Prue is wearing older models which the website does not have anymore. Even if I am wrong and Prue is not wearing Ronit Furst, I think they are a pretty close match so if you do want to borrow her style then I say check out the Ronit Furst website. I think Prue has proved to us, just because you are in the older age bracket, it doesn’t mean you have to go all boring with your eyewear. I love Prue’s bright and bold style, I think it is fantastic and she can carry it off really well. I hope when I am older, I will also be wearing statement pieces like that. Enjoy the rest of The Great British Bake Off series. I will be watching it for sure! A Ronit Furst representative got in touch and can confirm Prue has been wearing their design. Below are the links to two of the style she has been wearing. 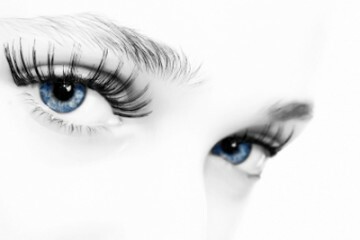 Both styles come in many colour variation but they are the exact same model she has been wearing. Check out the links below. 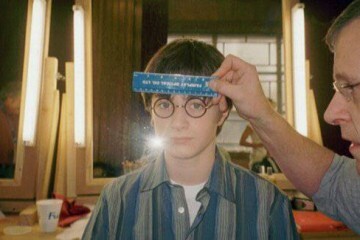 So pleas3d you have solved this for me, I have spent hours trying to track down her specs! 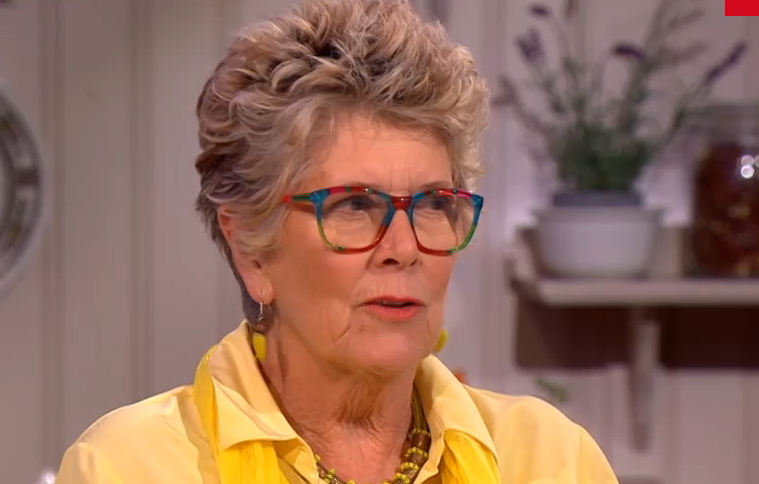 Prue Leith obviously has great taste in glasses! I absolutely love mine, and am looking to buy another pair very soon! Great glasses – but not available in uk?